This silk fabric covered album features a frame front design. 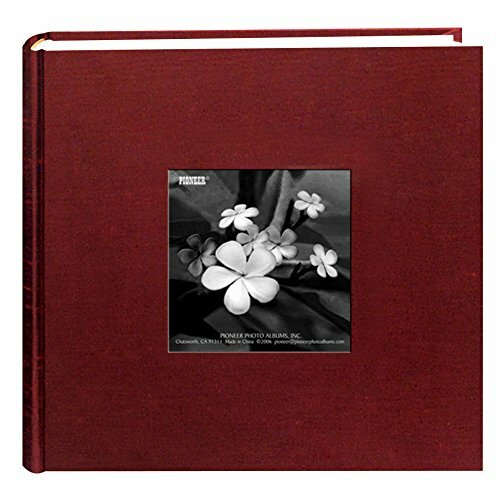 The album holds 100 photos up to 4"x6" in optically clear pockets with a shaded paper background and memo writing area. Photos are displayed one per page. The album measures 6.75"x6.625"x2". Photo Safe: Acid, lignin and PVC free. Holds 100 photos up to 4"x6"
Frame Cover Album, CP Holds 100 4" X 6"